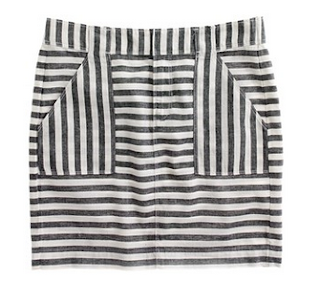 Love the contrasting stripes on the pockets of this skirt - takes it from cute to really standout! Pair witha chambray top and cute wedges to look cool in this heat. Buy at Madewell for $68.